This entry was posted in Arctic, Bering Sea Expedition, Climate Change, Ocean Acidification and tagged Bering Sea, Jessica Cross, Ocean Acidification on October 11, 2011 by Gaelin. 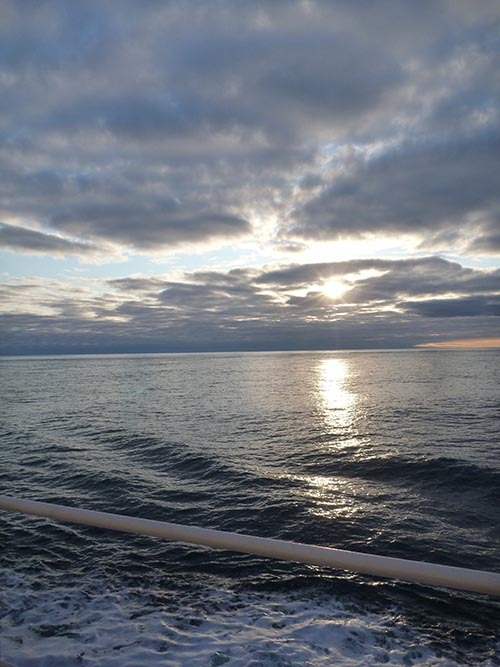 The seas calmed down a bit or rather the wind subsided and we are in huge glassy swells, all in all a nice day on the Bering Sea. We are transiting so not much is happening. I spent a good deal of time on the bridge watching passing birds and whales. Transit days are good days to catch up on work and to get organized because once the sampling starts, it gets very busy very quickly. The day ended with a beautiful sunset and the continued big swells. 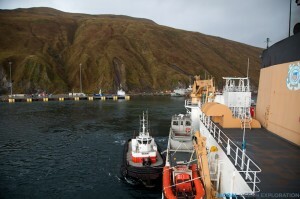 This entry was posted in Arctic, Bering Sea Expedition and tagged Bering Sea on October 4, 2011 by Gaelin. 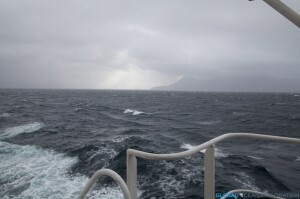 At 1600, it was time to cast off the lines and head out into the Bering Sea, and apparently some rough weather. 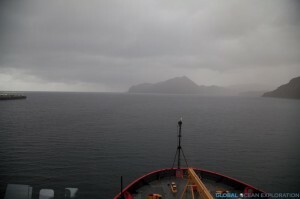 In the safety of Dutch Harbor, the weather seemed fine although a bit rainy, but beyond this safety, the Bering Sea was living up to her reputation. There is always a strange feeling when the ship leaves the dock and you know that there is no turning back. It is hard to describe, something between nervous and excitement, anticipation of the unknown…perhaps that is what is best about going to sea. 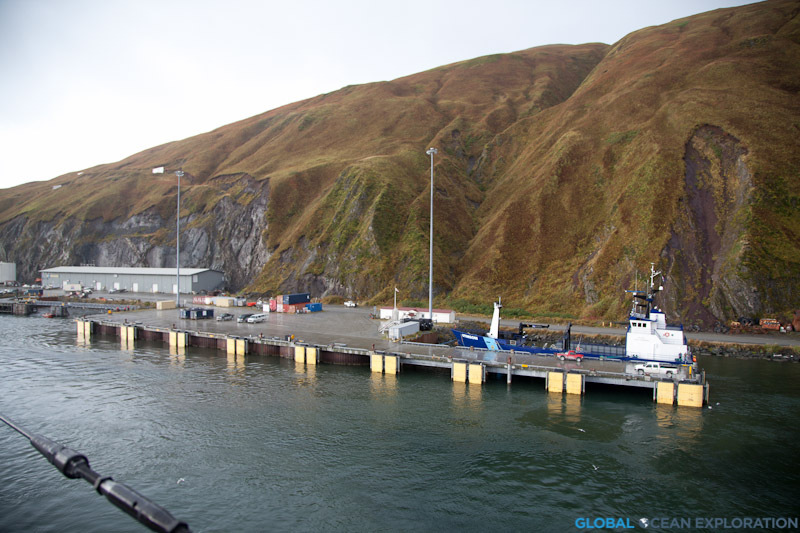 This entry was posted in Arctic, Bering Sea Expedition and tagged Bering Sea, Deadliest Catch, Dutch Harbor, expedition, Healy on October 4, 2011 by Gaelin. 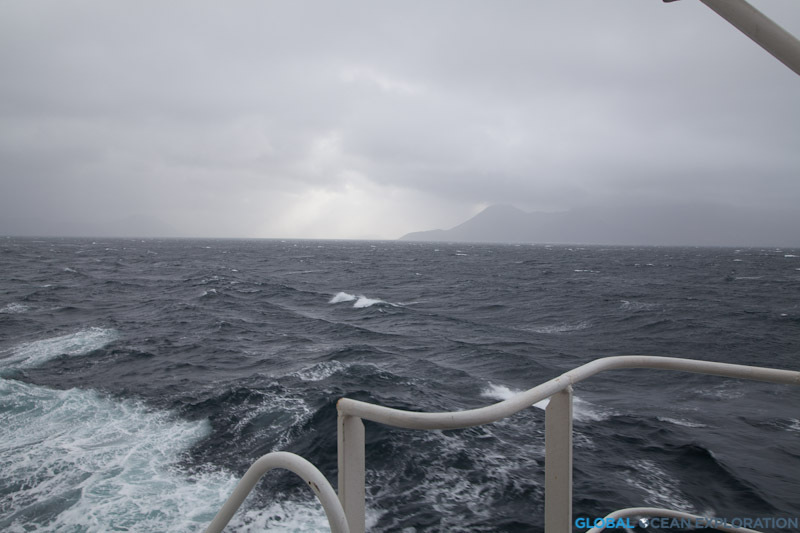 Exciting things are happening here at Global Ocean Exploration! Sorry for the lack of posts but we are working on a new blog that will be ready to go soon. Right now, I would like to announce the posting of the entire “Bering Sea Ice Expedition” webisode series on our website. Episode 6, The Journey, is the latest and it takes you from St Paul through the expedition to disembarking in Dutch Harbor. I hope you enjoy it. We are busy planning expeditions for the summer so stay tuned for updates. This entry was posted in Arctic, Bering Sea Expedition on June 5, 2009 by Gaelin. You can also find us on Facebook! Click here to visit the GOE Inc Page. 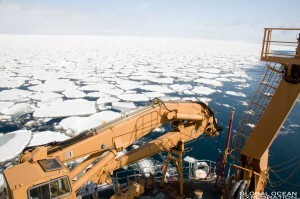 This entry was posted in Arctic, Bering Sea Expedition on March 18, 2009 by Gaelin. Two additional webisodes have been added to the site, Multicore Sampling and Sampling the Water. I hope you enjoy them! 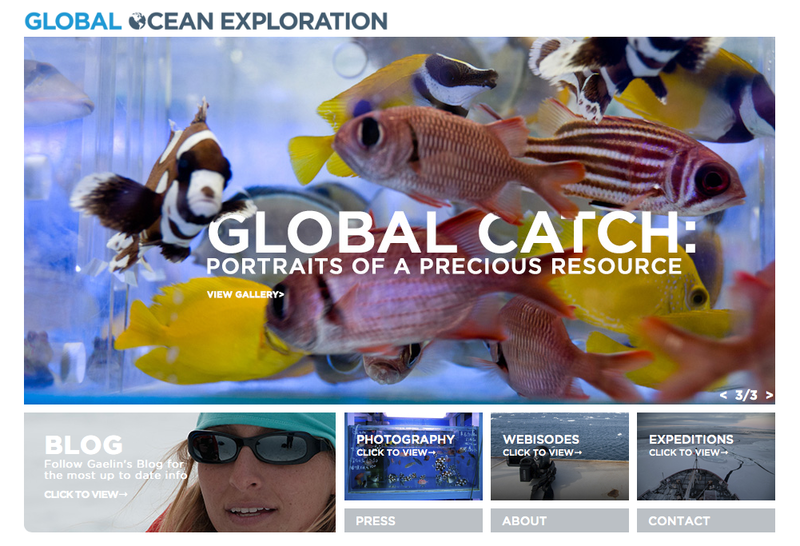 We will be adding a lot more material in the coming weeks so make sure to check globaloceanexploration.com often to learn more about our expeditions! 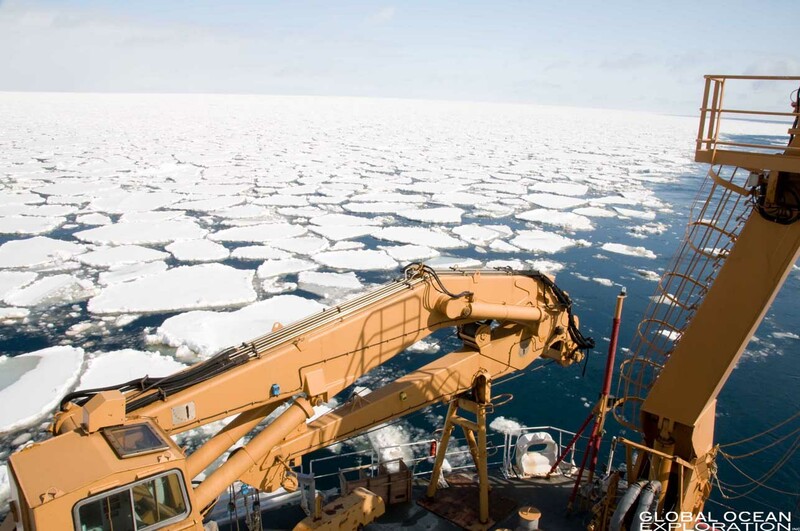 This entry was posted in Arctic, Bering Sea Expedition on March 11, 2009 by Gaelin. Announcing a new section of the website devoted to video! Follow this link: VIDEO or click on the video link on the left. Please note that a Press page has also been added. You can view a clip of Gaelin’s appearance on “Sustainable Planet” which aired June 19th. 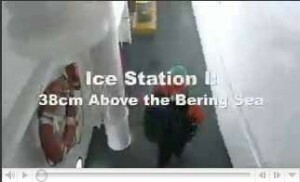 This entry was posted in Arctic, Bering Sea Expedition and tagged Bering Sea, Ice Expedition on June 13, 2008 by Gaelin. 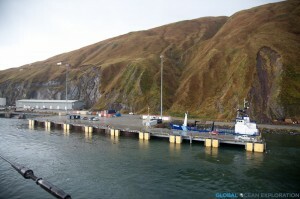 This entry was posted in Arctic, Bering Sea Expedition and tagged Bering Sea, Dutch Harbor, expedition, oceanography, sea ice on June 4, 2008 by Gaelin. It is always bittersweet when an expedition comes to an end. 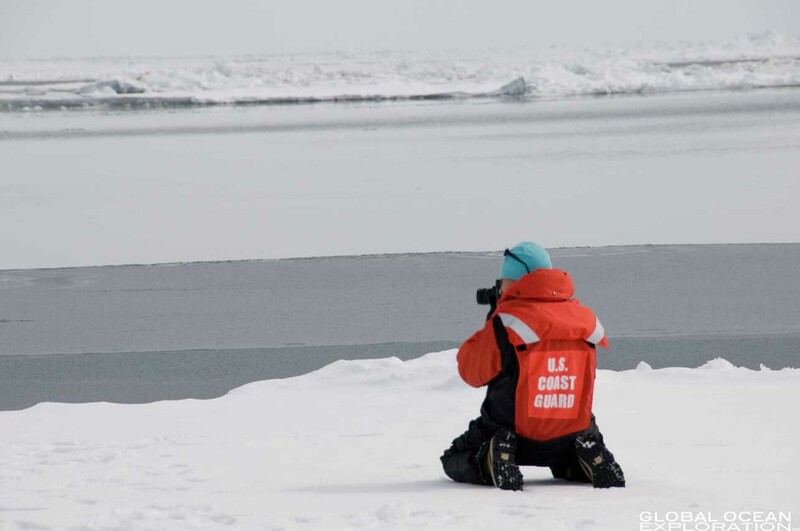 From start to finish, this expedition was filled with the excitement of the unknown and the magical, from flying into the fog of St. Paul to frolicking on the Bering Sea ice. I am very excited about all of the work I accomplished and look forward to editing and putting everything together to share, but at the same time, I was not ready to come back to the bustling city. 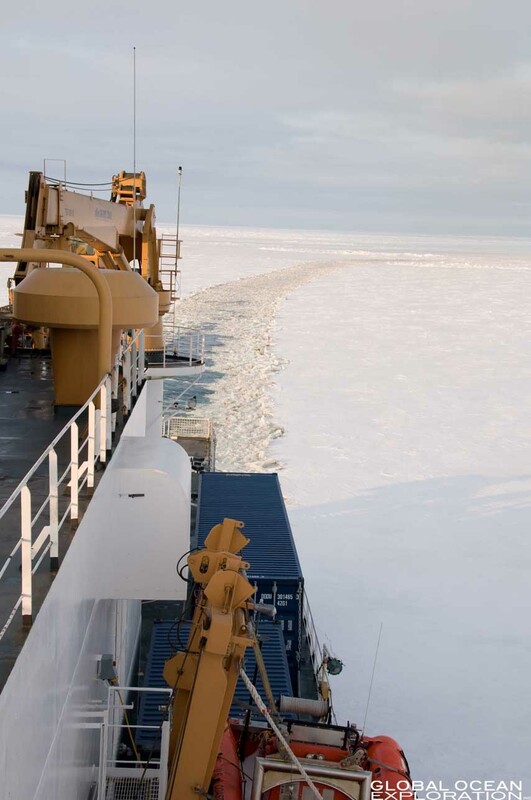 A tremendous amount of amazing cutting edge science was accomplished and I look forward to seeing how all of the scientists collaborate to make the project come alive and gain a more complete understanding of the Bering Sea ecosystem. I want to thank all of the scientists who allowed me to follow and learn about their work, and the crew of the USCGC Healy. 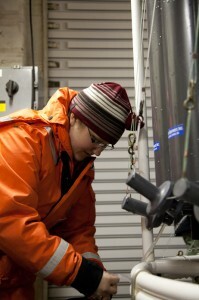 In particular, I would like to thank Dr. Carin Ashjian, the chief scientist of the expedition, and Captain Lindstrom. It was a fantastic expedition and I look forward to many more in the future. Stay tuned for video, photos and links to publications! 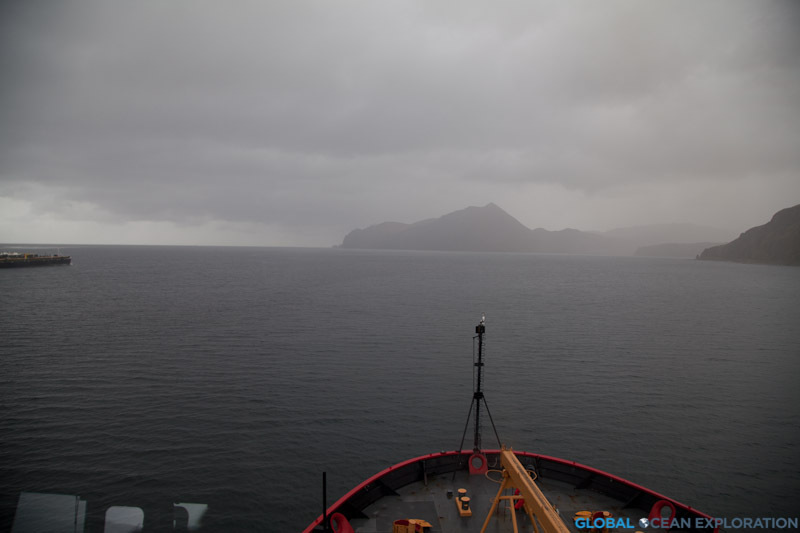 This entry was posted in Arctic, Bering Sea Expedition and tagged Bering Sea, Dutch Harbor, expedition, oceanography, sea ice on May 12, 2008 by Gaelin.